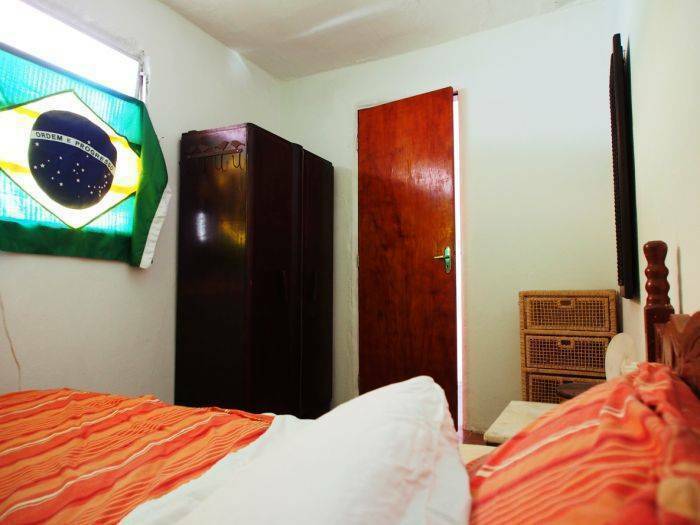 Experience pure favela life in legendary Rio de Janeiro with your stay in Casa Alto Vidigal. Located in the safe and vibrant southern zone with easy access - even walking distance - to famous beaches of Leblon and Ipanema. Hike our landmark mountain Dois Irmaos and have Rio de Janeiro as your oyster. 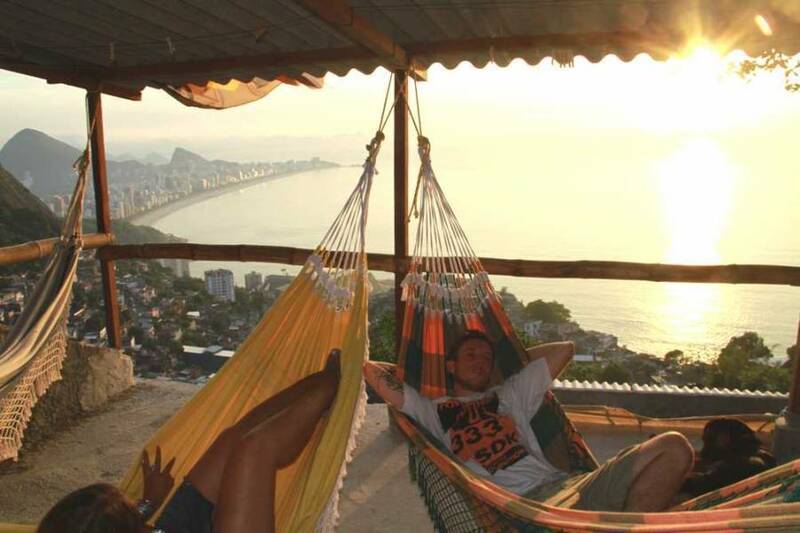 Send a postcard of sugarloaf to your parents but store the experience of Casa Alto Vidigal forever in your memory. 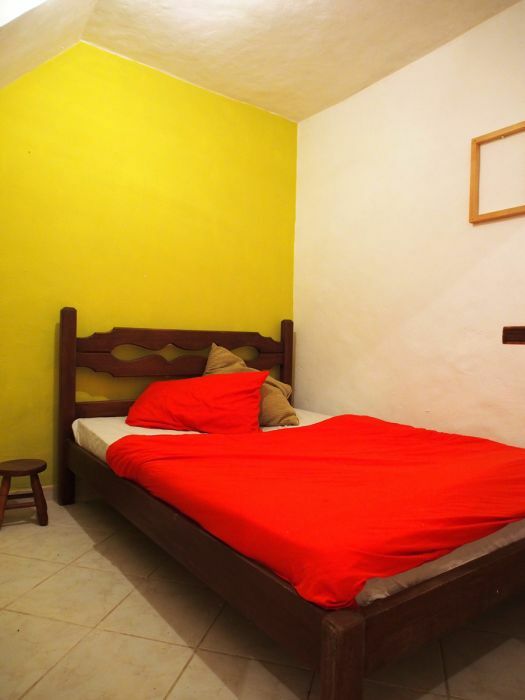 We offer 3 private rooms and 3 dormitories with 4 beds and lockers each. You can use all common areas: 2 bathrooms with hot water 24/7, kitchen, free WiFi, living room and big veranda with hammocks and BBQ. 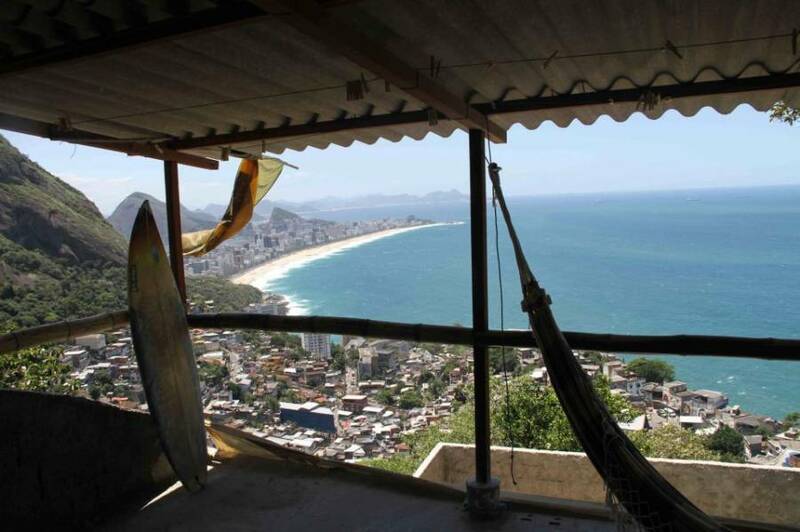 Vidigal is a safe but vibrant favela in Rio de Janeiro, having a view of Ipanema Beach (Praia de Ipanema) and Ilhas Cagarras. 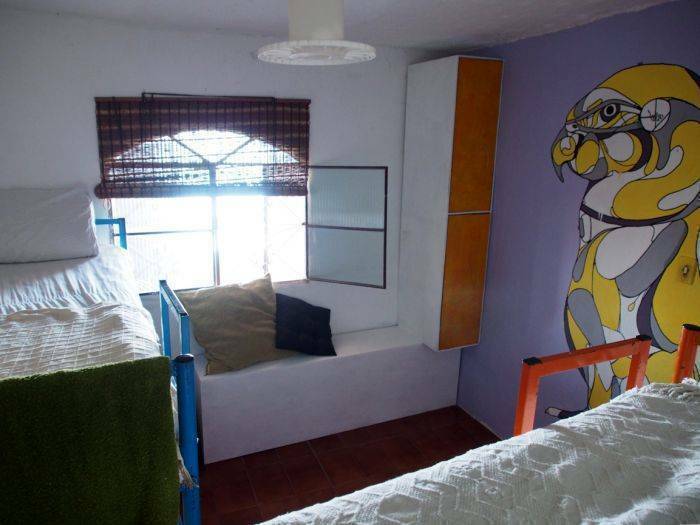 It is located in the South Zone of Rio, between Leblon and São Conrado neighborhoods. The favela is placed on the base of "Morro Dois Irmãos" (English: Two Brothers Hill). Beaches Leblon and Ipanema in walking distance. Direct connection by van to beaches Copacabana, Sao Conrado, Barra, Recreio, Prainha, and Grumari. (*) There is a bus company 'Real', line 'Premium', blue A/C bus that passes through the international airport (Antonio Carlos Jobim / Galeao) and Santo Dumont, and Novo Rio bus station. The bus leaves every 15 - 20 minutes. (*) Take this bus for 12 R$ and ask the driver to drop you off at the entrance of favela Vidigal, which is the next bus stop after the Sheraton Hotel, on Avenida Niemeyer. (*) At the entrance you can already see the moto-taxis. Take one for 2. 50 and ask for 'Arvrao' (translated as big old tree) / Casa Alto Vidigal. Everybody there knows our stop. Do not ask for the price, because when reading this you already know it's 2. 50 R$. The taxistas always try to rip you off and will ask for 5 R$, or even more (we've heard of stories like this). Best is to have the 2. 50 R$ ready so you don't have to wait for exchange or discuss about it. => If you have a heavy bag give them 3. 50 R$. Remember, we're talking about 1 R$ or 0. 50 USD more so don't be penny-pinching. You want them to play on your side, not against you! (*) You're not up to riding the motorbike? No problem, keep walking on the main road and after 30m you can already see the white VW taxi combi passes, parked in front of the pizzeria 'Pizza Lit'. Same price, 2. 50 R$ and make sure it brings you to Arvrao. Arvrao is also the last stop, head towards the police and take this road to the end, to the viewing point. Walk down the steps and the house on the left with graffitis it is! Let us know if you want us to organize a taxi! Email the house for prices and your chance for a free ride.